The little village of Kinderdijk is located between Dordrecht and Rotterdam in the province of South Holland. A staggering amount of 19 windmills are located here, at the intersection of 2 rivers.They are the reason why most of the Dutch people were able to live in polders under sea-level for many centuries. 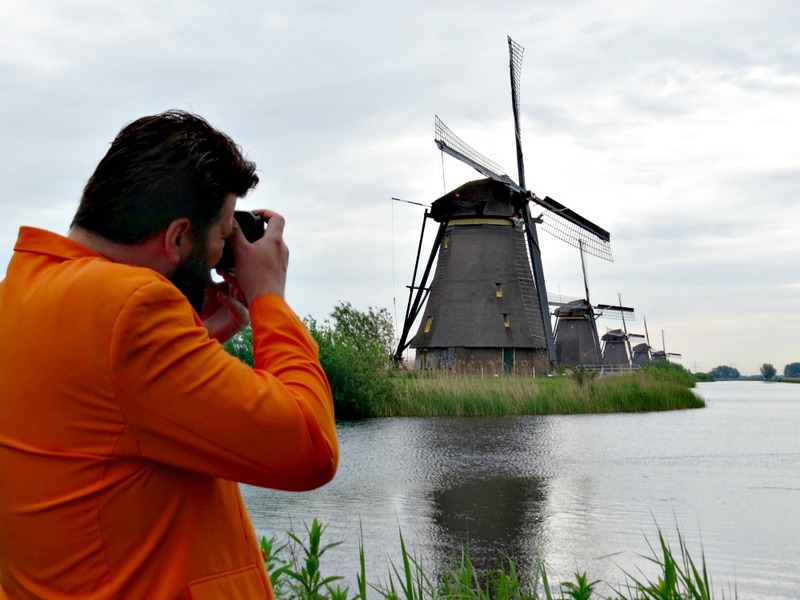 At Kinderdijk, you can see these windmills and take wunderful pictures. But you can see and do much more, which we will show you here. 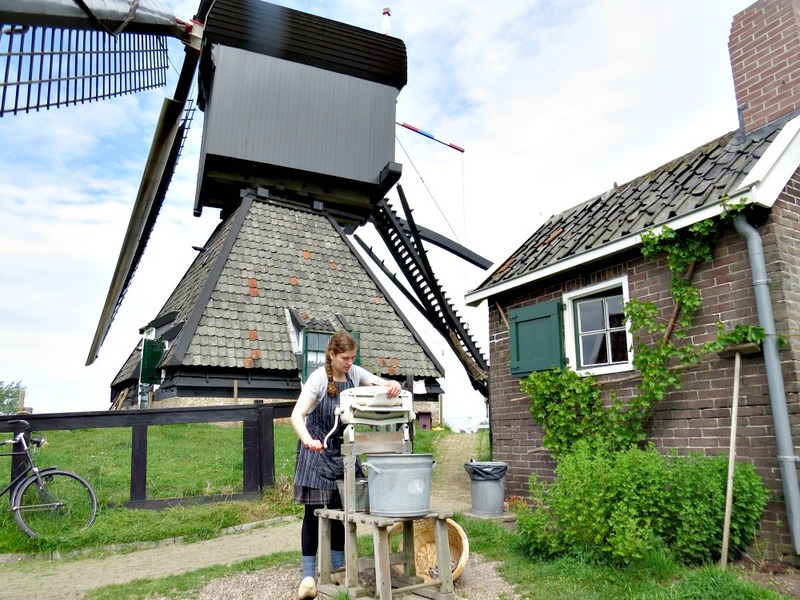 Or you can just find out how to visit Kinderdijk Windmill village. A thousand years ago, this part of the Netherlands was mainly swamp. Early setlers dug ditches to create dry pieces of land, to grow their crops and build their houses on. But the dry land sunk deeper. And storms and flooding rivers were a constant danger for the people. The solution was to build dikes, and to use windmills to pump the water to higher levels behind the dikes. That's how the many polders in the Netherlands were created. These polders sunk deeper each year. 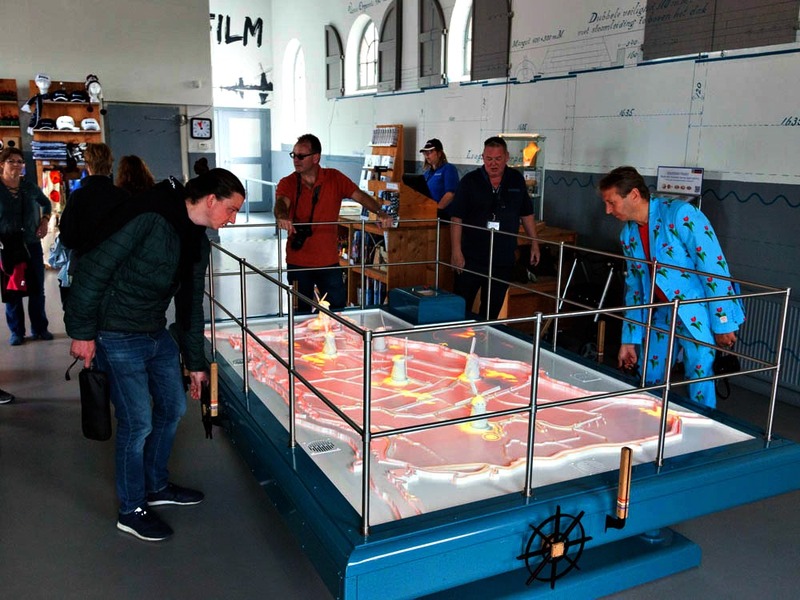 In one century, the level of a polder sunk one meter! To overcome this problem, more complex water management was required. The Kinderdijk shows such a complex system. The water is pumped up in two steps. First from the polder to a so-called "boezem", which runs 17 kilometers long through the polder. Then, the 19 windmills in Kinderdijk pump up the water to a reservoir. And finally, the water flows to the rivers in low tide. 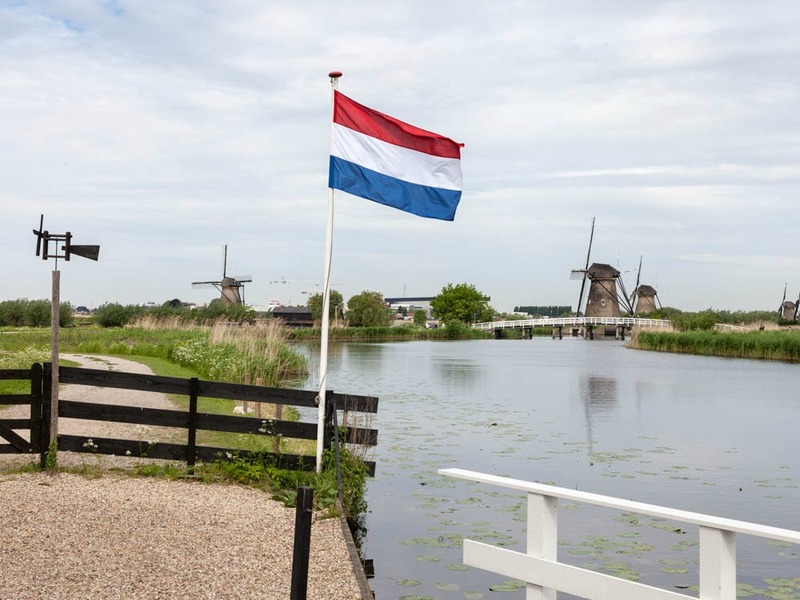 The number one reason to come to Kinderdijk is, of course, to see the Dutch windmills. And to make beautiful pictures of them. But in contrast to, for instance, the windmills at the Zaanse Schans, the windmills in Kinderdijk are here for water management. So do notice the different waterways around the windmills. And ask yourself how the windmills pump up the water, and where the water will flow to next. Use the map of the area if you like. The Wisboomgemaal is a former steam-powered pumping station. It was used to take over the work of the windmills, but is no longer functioning. The work is now taken over by diesel and electric pumps. In the building, the visitor center is now located. In the visitor center, you can see how the complex system of water management with the windmills works. In an interactive game you need to position the windmills to the wind. And you can see how they pump the land dry. The visitor center also shows a movie about the history of the area. It is spoken in Dutch, and has subtitles in English. There is also a small exposition and a souvenir shop here. Two of the windmills at Kinderdijk house a museum. The first, Windmill Nederwaard, is a so-called Grondzeiler (Smock mill), like most of the other windmills at Kinderdijk. You can take a look at how the windmill works. Feel the power, and see the wooden axes and gears turn. Quite an impressive sight. But the actual topic of the museum is not the windmill itself, but the life of the miller and his family. 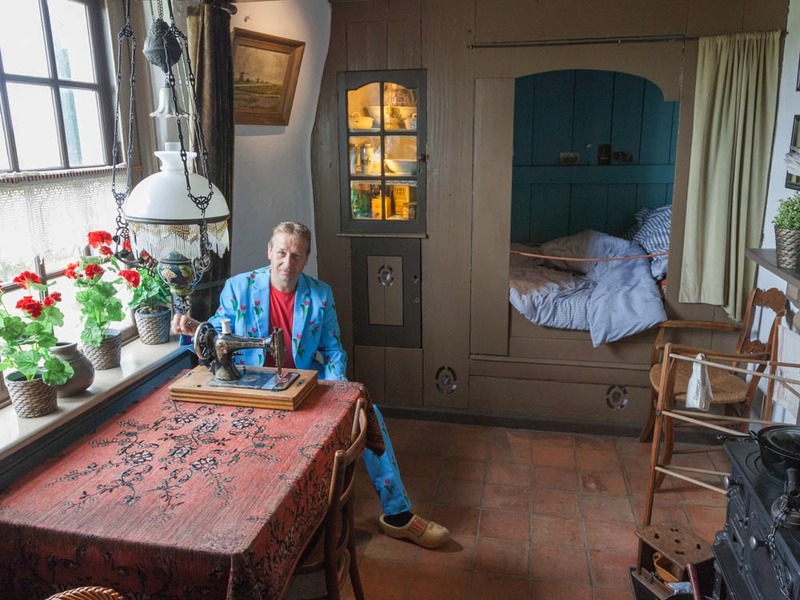 Until the nineteen fifties, the miller lived in the windmill, with his wife and 11 children. You can see the small rooms, the beds, clothes, toys, etcetera. And there are many pictures of the family in the windmill. Most tourists don't walk up to the second windmill museum. This one is located in and around the Blokweer windmill. This is the only wooden mill in the area. It's a socalled Wipmolen (Hollow post mill), which is different from the other, stone windmills. You can have a look inside this mill as well. But what is most interesting here, is that the miller and his wife still live and work here as millers have done for centuries. You can see how they grow their crops in the small garden, with two goats. And you can see how they do the laundry the old fashioned way. Go ahead and have a chat with them, they're very friendly! This is actually the best part of Kinderdijk. So don't do as most tourists do. Just make the extra walk to the Blokweer windmill, you won't regret it! Kinderdijk can be reached by public transport. Bus 90 from Rotterdam Zuidplein Station to Utrecht Central Station stops at the windmill village. There's also a possibility to take Waterbus 202 from the Erasmus bridge in Rotterdam. A unique experience! Tickets for Kinderdijk can be bought online. They only cost € 6,50. Do you prefer to take a tour from Amsterdam? In that case you can combine a visit to Kinderdijk with a visit to The Hague. You will be picked up at 9 AM. 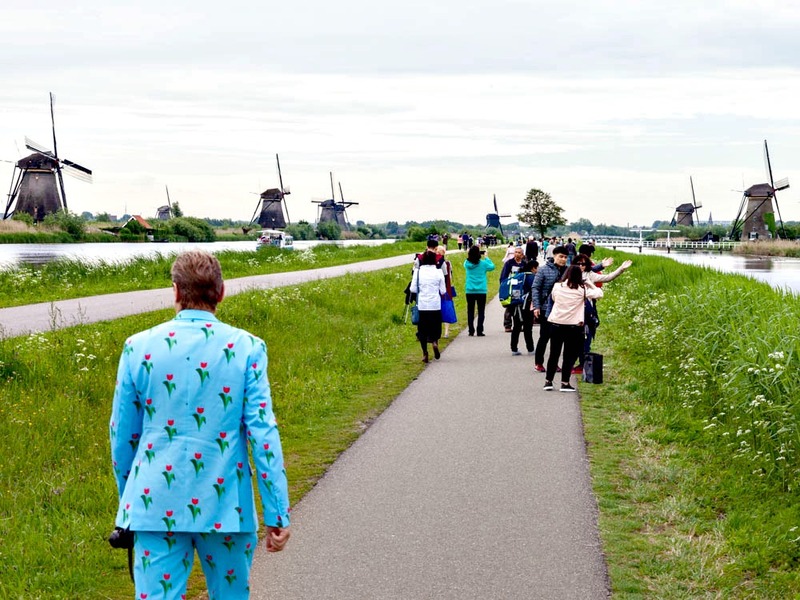 With a small group you will taken to the Kinderdijk in 75 minutes. 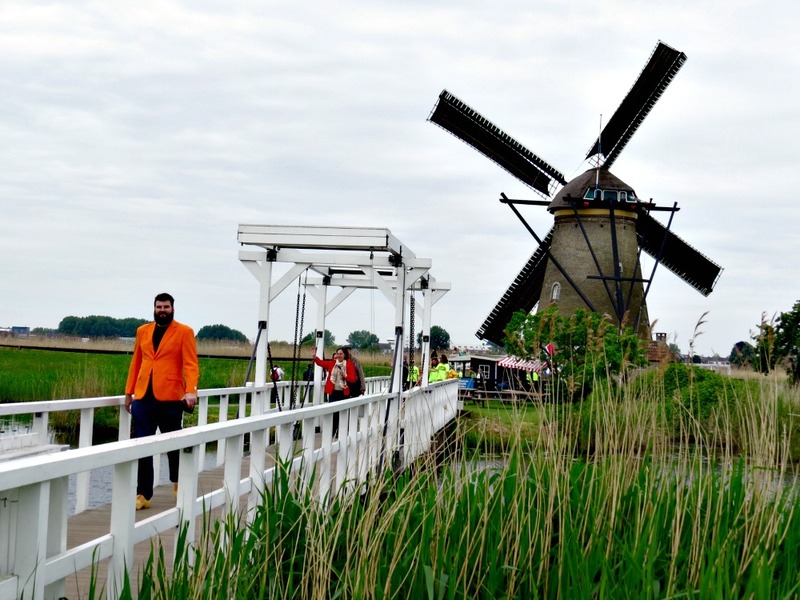 Here you will get a guide tour along the windmills. After that, you will go to The Hagu, the seat of Dutch government. Here you will make a tour with the mini-van, and you can visit the Mauritshuis museum. Check out this tour here.